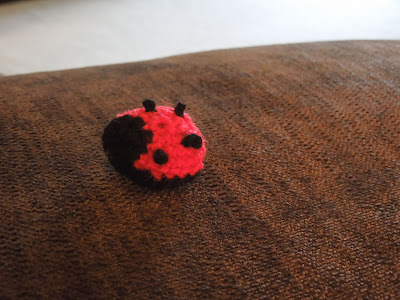 Anyway, waffle aside. This little creature was inspired by a children's game. 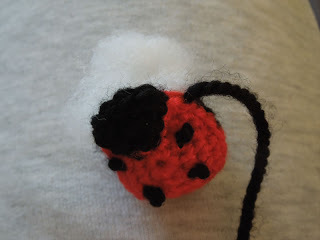 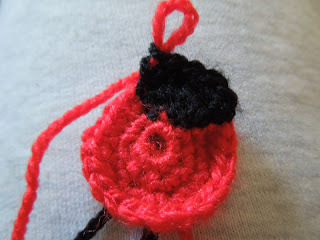 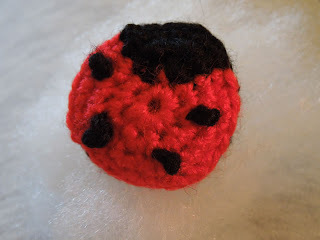 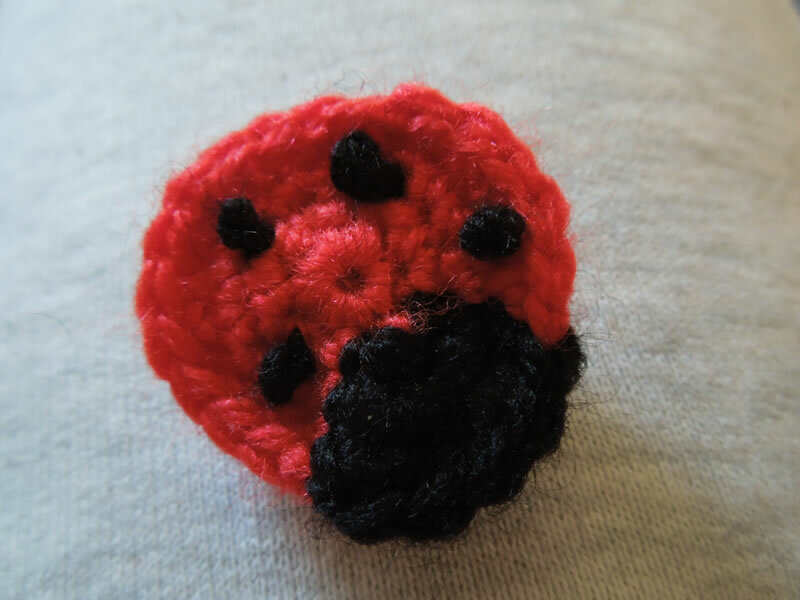 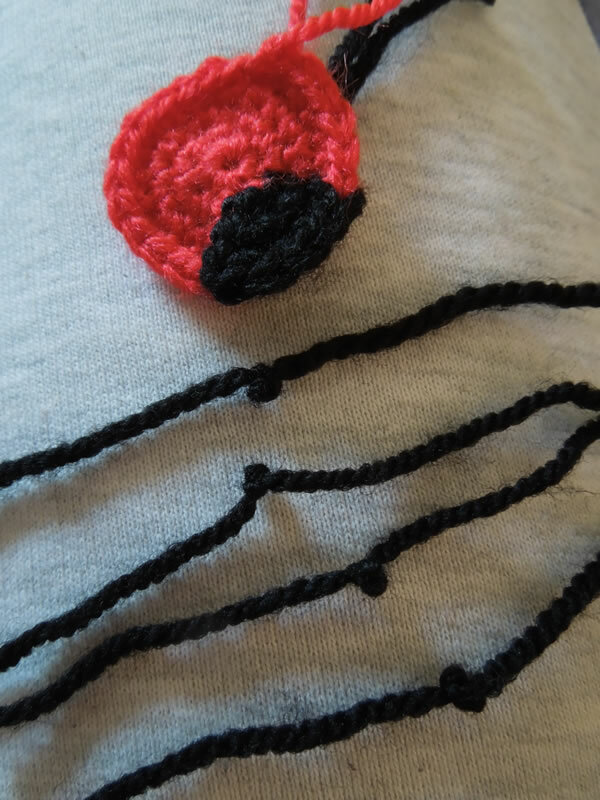 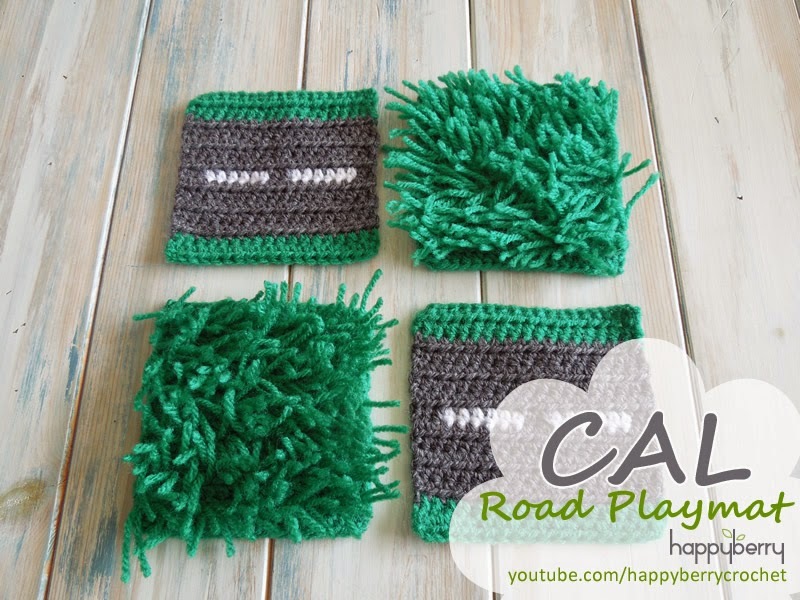 If you crochet lots of these little bugs with different amounts of spots they make a wonderful mix and match game and also a counting game for young children. 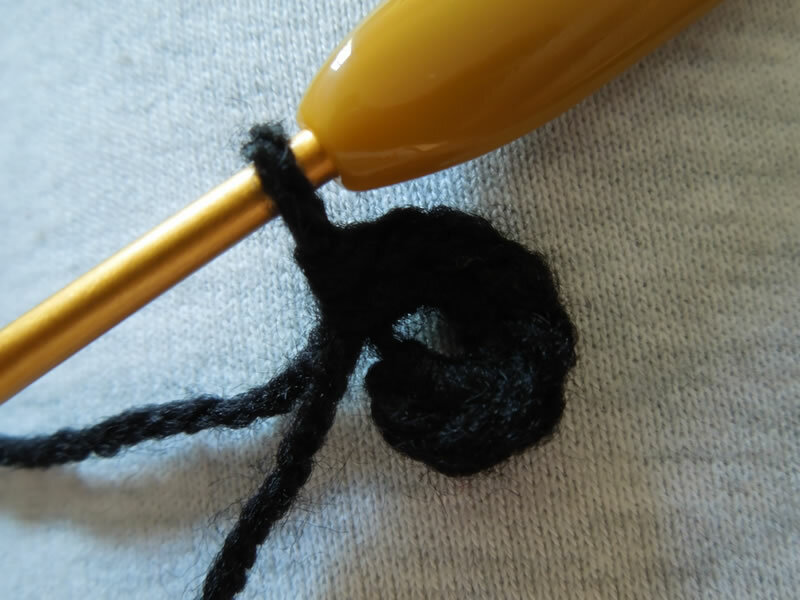 *1sc in next st, 2sc in next st* repeat from * to * until end - (24) sl st in next st regardless of round to fasten off, tie in all tails. 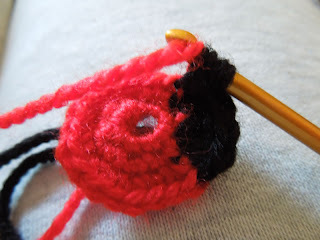 1sc in next 12 sts joining your black yarn in the last st, continuing in black crochet 1sc in next 6 sts joining your red yarn in the last st, continuing in red crochet 1sc in last 6 sts - (24) sl st in next st regardless of round to fasten off, tie in all tails. Take some short lengths of your black yarn and tie 3 knots into the middle of each length. 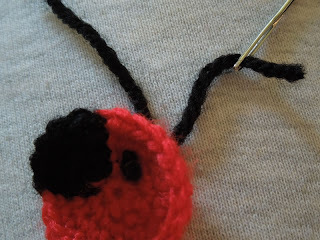 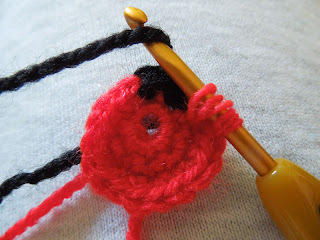 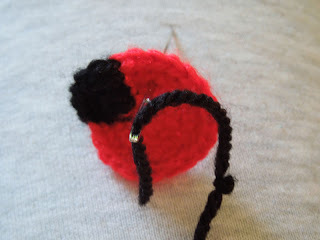 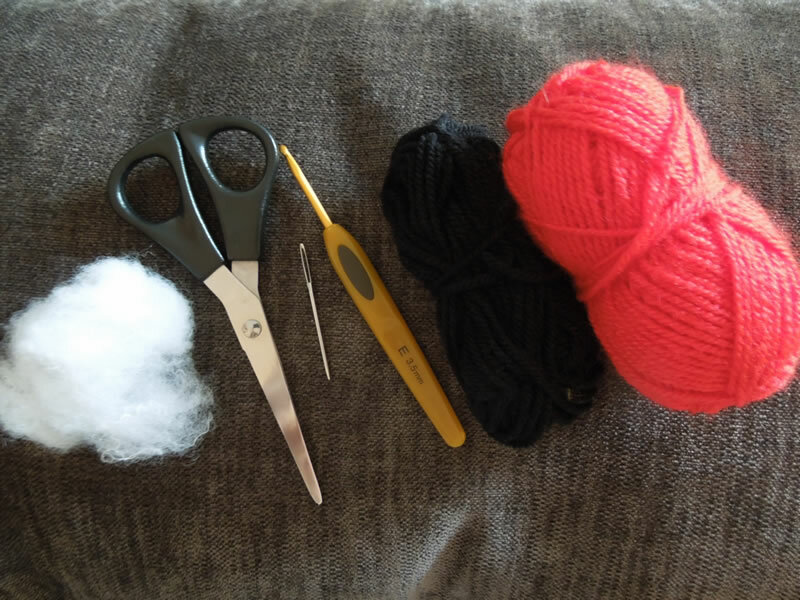 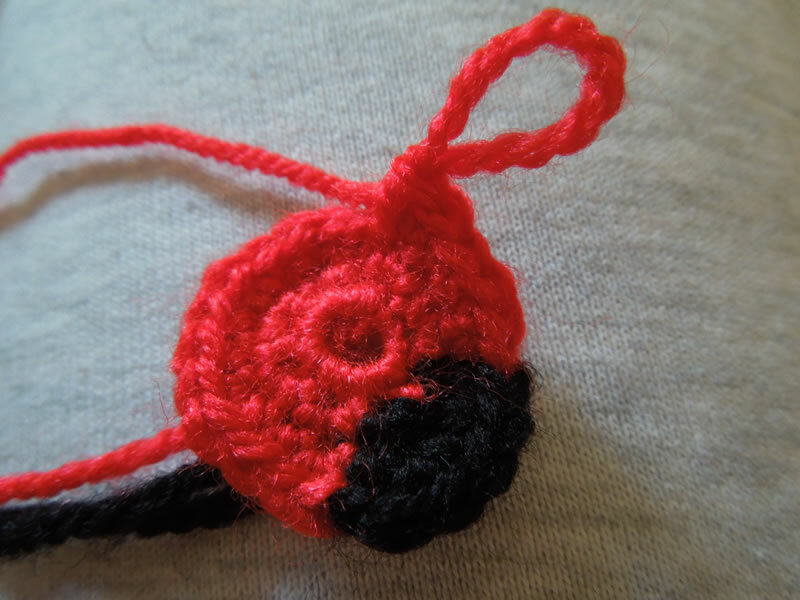 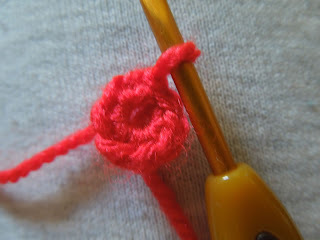 Sew each end of your length pieces into the red part of your bug so the knot stays on the right side and tie on the back. 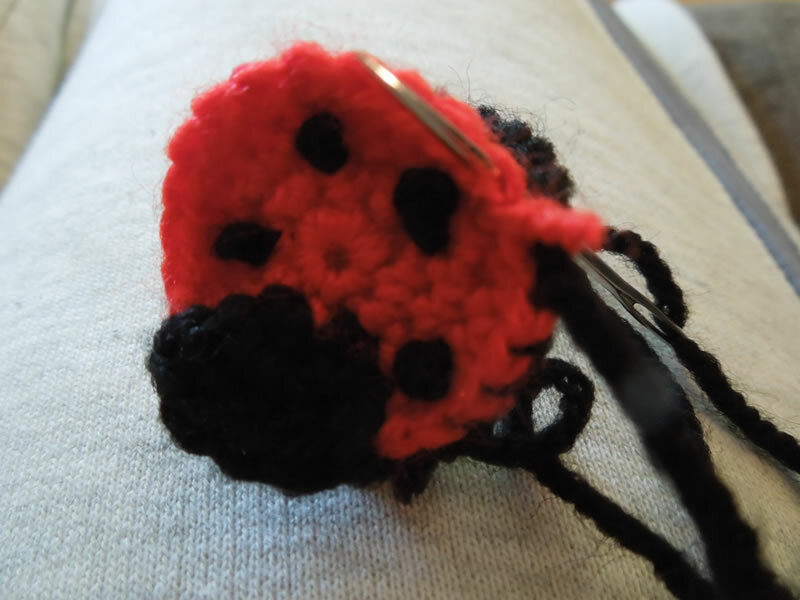 These are your bug dots so do as many or as little as you like. 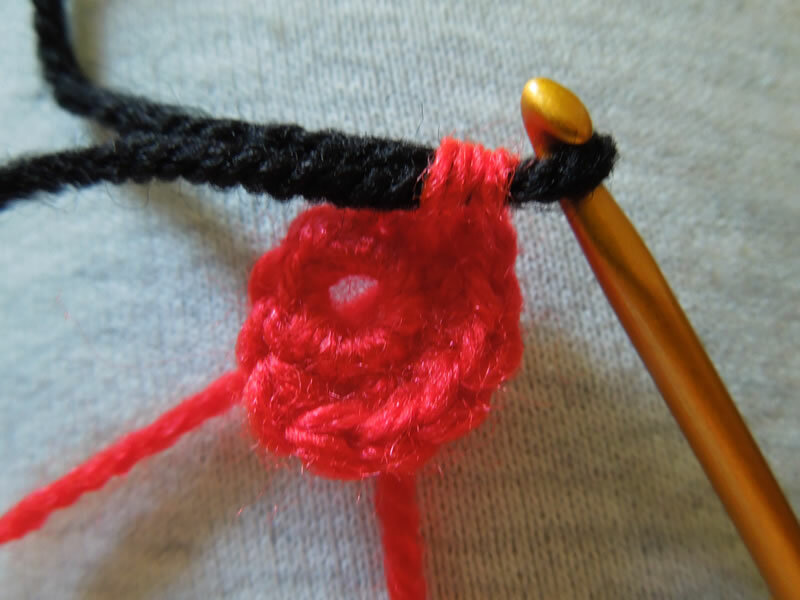 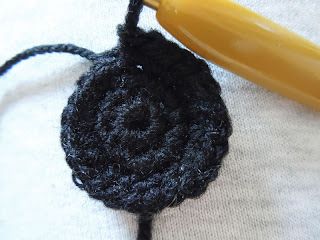 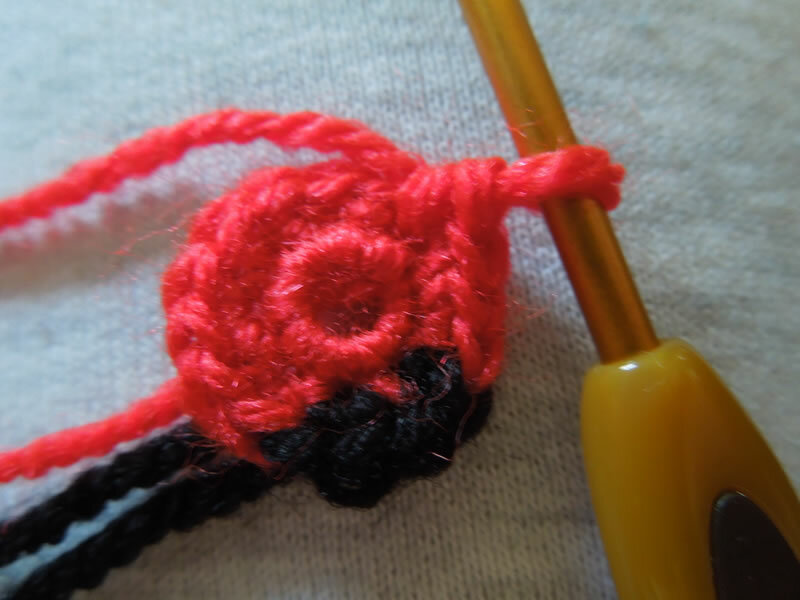 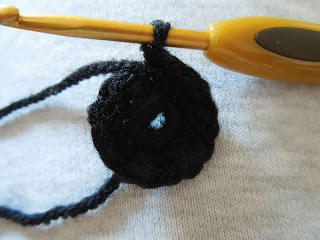 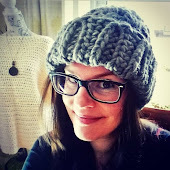 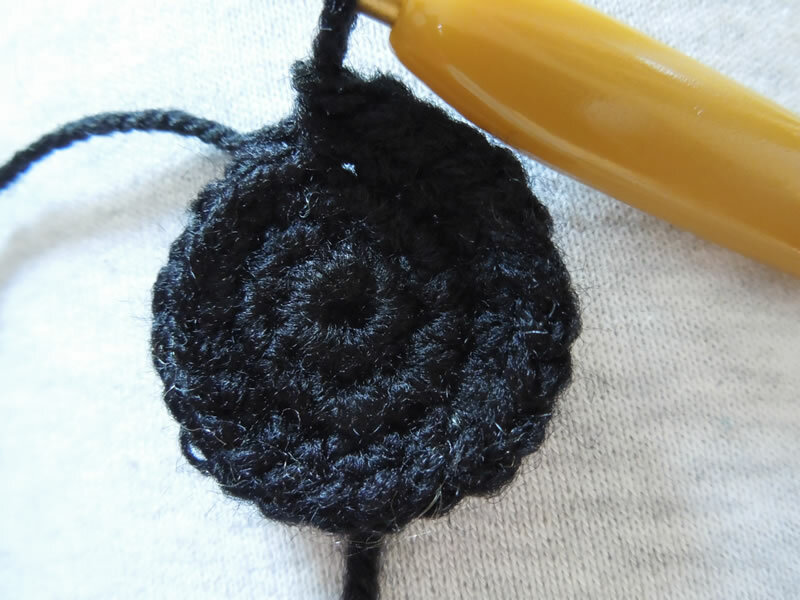 Using your black yarn and your yarn needle and with wrong sides facing each other, stitch your bottom piece to your top piece by stitching through the inside stitch loops only (see photo). 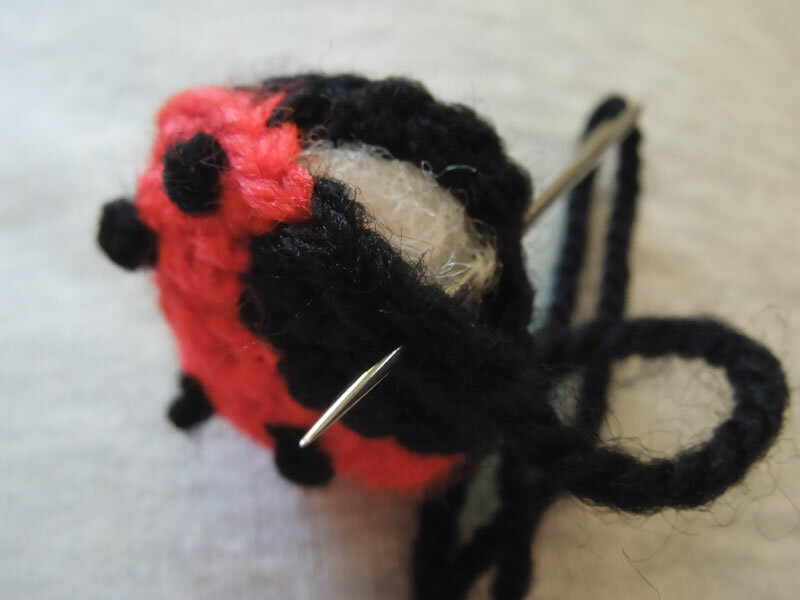 Before closing, stuff your little bug with some toy stuffing or yarn scraps and stitch closed. 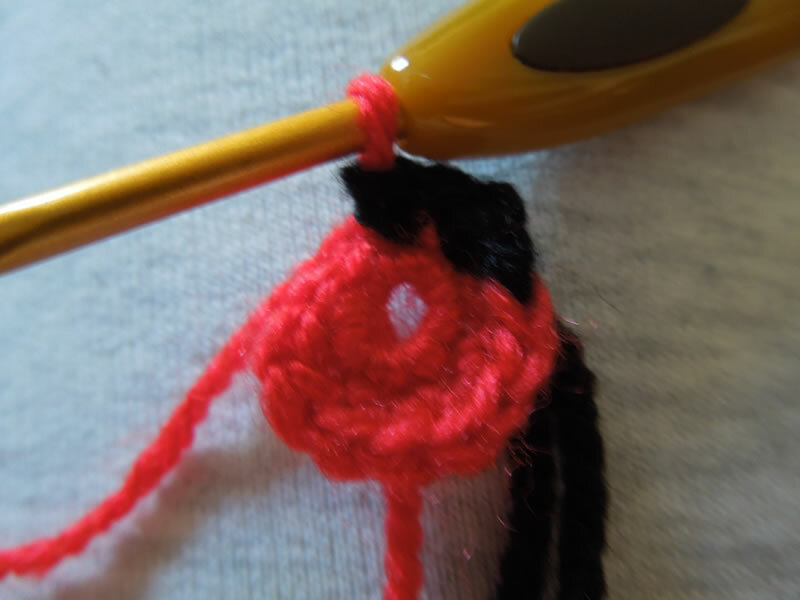 Tie in all your tails. 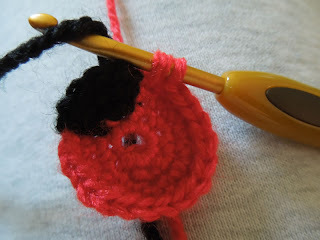 Tip* A clever way of hiding your tail ends inside your work instead of outside is to thread your yarn into your project and out the another side, it doesn't matter where, then pull your yarn tight, scrunching up your project a little, cut your yarn and then allow your project to spring back into place, the tail end of your yarn should end up inside your project, hidden away!